After what seemed like forever, I decided on getting the Peach Pop and Berry Pop so I can cover both the peachy and pinkish side of the blush world. That, and I didn't have something similar to Berry pop yet and I couldn't possibly get all colors though it was really tempting at first. Initially, I was really content to stare at these beauties and get that happy feeling just as looking at them! But then, blushes are meant to be used and not displayed so here we are. 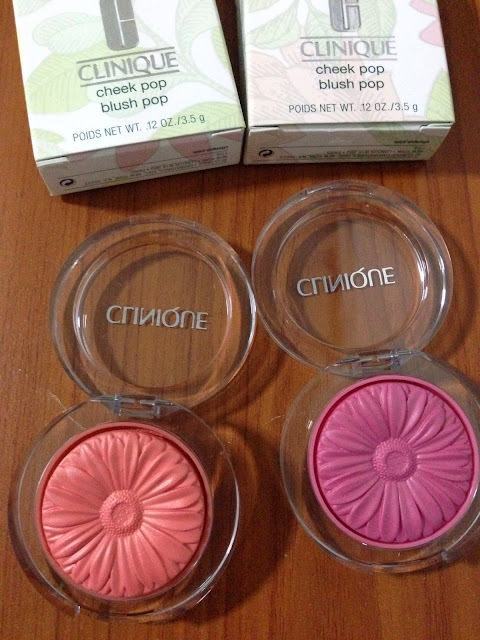 Them pretties: Clinique Pop Blush in Peach Pop and Berry Pop. 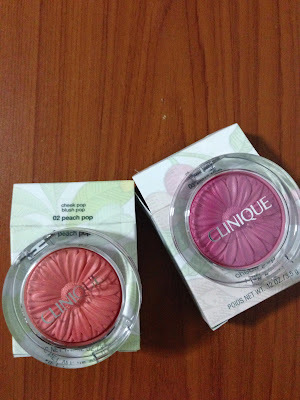 The packaging: How cute are the daisy-embossed blushes, by the way? Looking at these reminds me of spring and the overall look with the transparent case just screams classic glam. It naturally exudes a happy, carefree vibe. 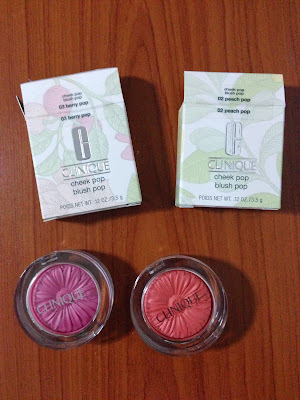 At first, I was worried to destroy the flowers when I dab my blush brush but after a few applications and two weeks' worth of use, they still look pretty and fab! I love the formula, too! It's powder but feels like cream when worn. 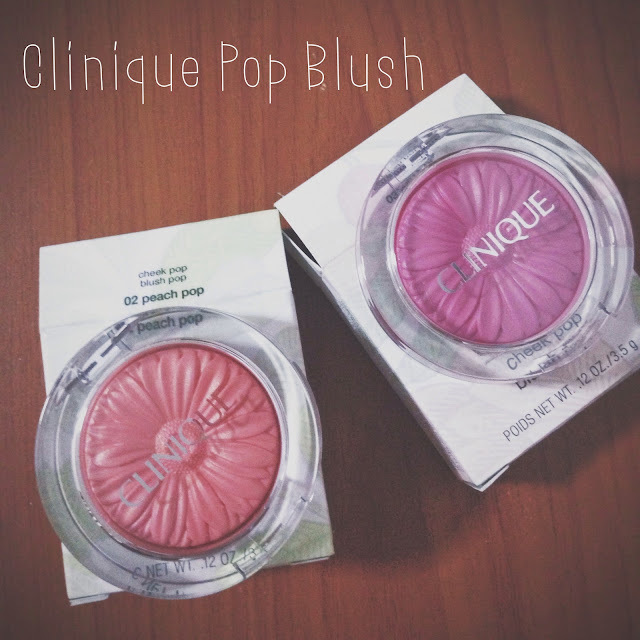 It's buildable, and I find that it can go from sheer/barely-there flushed look to a more defined and pigmented blush with a few applications. I find it works well with my Real Techniques stippling brush, which is no surprise because of its formula. The product lasts long, about ~6-7 hours for me, which is saying something.